This clip includes guests Mark Trevorrow and Gina Riley as their comic alter-egos Bob Downe and Coralee Hollow, hosts of the fictional regional TV program Good Morning Murwillumbah, a send-up of the low-budget chat-show format that morning television is invariably known for. The pair are on Good Morning Melbourne to promote their show Pick A Hit at Melbourne comedy venue The Last Laugh. 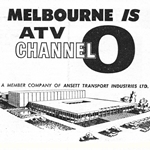 Good Morning Melbourne, which ran until the end of 1988, essentially began as far back as 1967 when Melbourne’s ATV0 – after three years on-air – was making its first tentative steps into morning television. Morning Magazine, hosted by Roy Hampson and Katrina Pye, began as a half-hour program on ATV0 at 10.30am on Tuesday 8 August 1967. The program continued the same basic format with Hampson at the helm, although the name changed numerous times: Chit Chat, Roundabout, The Roy Hampson Show, In Melbourne Today. On 19 February 1979, the title changed to Everyday and Hampson was joined by Annette Allison, a former Queenslander who had come to Melbourne to read the news for ATV0. In 1981 the title changed to Good Morning Melbourne, and continued through to the show’s eventual demise in 1988. 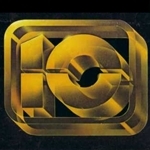 Replacing Good Morning Melbourne and its interstate counterparts in 1989 was the national program ‘Til Ten, produced from TEN10 Sydney and hosted by Joan McInnes. ‘Til Ten was succeeded in 1992 by the Melbourne-based The Morning Show with Bert Newton (pictured). The program adopted the title Good Morning Australia the following year, and embracing the advertorial segments that turned the normally quiet morning TV landscape into a multi-million dollar cash cow for the Ten Network, then recovering from financial decline, and saw the concept extend to rival programs on the Nine and Seven networks. Good Morning Australia came to an end in December 2005, replaced the following month by 9AM With David And Kim, hosted by David Reyne and Kim Watkins.